The Linked Senior platform is designed using evidence-based engagement methods rooted in dementia & geriatric research. Our EHR integrated & SAAS based platform means your staff and resident can benefit from modern and best in class technology at your staff and resident’s fingertips. The three plagues of loneliness, helplessness, and boredom account for the bulk of suffering in senior care. We support person-centered care through life enrichment and dementia engagement using simple technology and non drug therapy. Our platform is simple, scalable, effective and affordable. 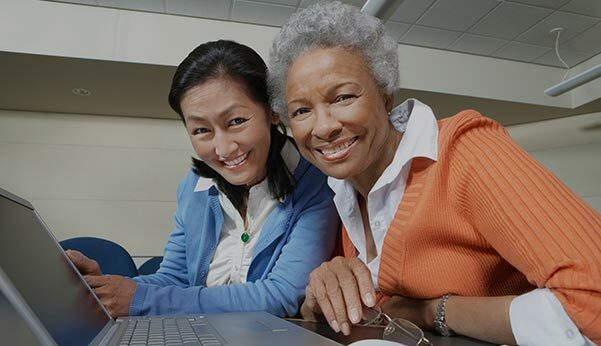 Linked Senior helps you engage all residents by helping you meet the need of each and every resident no matter who they are where they are physically or cognitively. We empower your staff to do more with less while truly delivering on your person-centered care promise. Residents, family and staff have access to unlimited and constantly refreshed evidence-based content delivered through a touch screen app. Real-time reports allow you to manage engagement to support your staff with the right tools and making sure no one is left behind. Data analytics allow you to understand what are the needs of your residents and how to best address them. All clients have their own Relationship Manager that provides personalized support for technical assistance and engagement best practices. Our blog is a comprehensive database of our thoughts on issue areas including culture change, federal law, music therapy, quality of life and social relationships. Learn how this skilled nursing facility is reducing anti-psychotic drugs usage and behaviors with dementia engagement while increasing compliance and person centered care. Learn how Kendal on Hudson, in partnership with Linked Senior, reduced unnecessary drugs to zero. Learn how this community is using person-centered dementia engagement as part of their fall prevention initiatives. Our relationships with the following organizations help us enhance life in senior care nationwide each day.